A delicious and enjoyable smoke. The cocoa and coffee on the nose and cold draw is just intoxicating. Shaggy foot on this one adds a bit of mystique, and though the burn was uneven at times, it was still quite good overall. Somewhat loose draw with a crown cut. Great construction (no surprise there) and crazy smoke production. This thing just pumped out plumes of fragrant smoke like a chimney. (People around us said it smelled like Oreos!) A good long smoke, on the strong side of medium in strength. Pair with coffee, milk tea, or anything featuring sweet or chocolatey notes. We tried it with a single malt that had elements of chocolate and spice in the palate and found it a beautiful match. Truly a nice cigar that is packed with creamy flavor, but the infusion doesn't overpower the quality tobacco... it complements it. I think these cigars have to age in your humidor for at least 1 month or more. The taste is more spicy than coffee. I would let it sit awile! Good flavor, had to relight twice. Good flavor, coffee and chocolate. Has a smooth draw and seemed well constructed. I did have to relight the cigar twice, even though it didn't sit for longer than a few minutes. This is a BEAUTIFUL cigar!!! In the last month, I've purchased about 100 cigars, of at least 7 types from JR, since finding it recently. This is BY FAR my favorite. It is WONDERFUL! It's an EXCELLENT infusion. Beautiful construction. Perfect burn - in 14 degree F night air (after being in a dry box overnight, then acclimating to the temp for 35 minutes). Super smooth, flavorFUL stick. For a flavored cigar, these are the best that I have had. If you are looking for a little coffee flavor to go with your cigar, not the other way around, you can't beat these. The flavoring is subtle, not like their Acid or Java brand, which I feel are too flavored. This is the one , the one you’ll buy over and over . It is as good as you’ll ever taste, sweet smooth and creamy flavorful and everything you want! This cigar is worth purchasing. One of my favorites, sweat, aromatic and good burn. Very happy I bought a package. I want to buy a box some day. What a pleasant cigar. Excellent flavor and draw.. I love the coffee flavor. A must have in my humidor. Can't wait to get some more. Only down side was the construction (wrapper began to unravel) and the smoke out put could have been a little better. Otherwise I really enjoyed the flavors, consistency and draw. I also prefer a mild-medium body which this is. Won't be disappointed with this one, especially if you like the acid line and love a morning smoke and a cup of coffee, it's very very nice. Great morning stogie with the coffee and chocolate flavors, with a sweet spice that makes a cup of coffee even better. 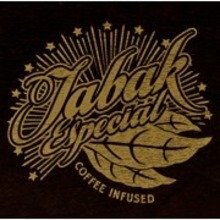 Fix a cup of coffee with cream and sugar and light up a Tabak Especial Negra Robusto and taste the flavors mix together that will flavor your palate with all of the nuances that the Tabak has to offer. 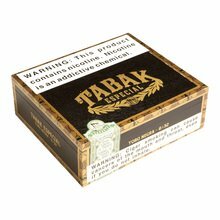 Great crisp, even burn with an excellent construction and the coffee flavor from the Tabak will explode and tingle your taste buds will be delighted with a long lingering flavor. This is the best morning cigar for your buck. Try it and see if you will agree. I don't normally go for flavored tobacco, but they pulled it off with these. 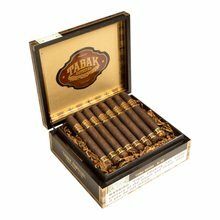 They are excellent cigars. Tastes great, but less filling. This cigar with infused flavors displays mastery. It's well constructed and draws fine. It is flavorful without being flowery. But, like the gars in the Acid line, I can't get past them being more than a novelty smoke. They'll never fill much space in my humidor. Other non flavored Drew Estate offerings, like "Chateau Real" for example, are worth stockpiling. Drew Estate makes great smokes!